Lalandia offers child-friendly restaurants and cafés with dining experiences to suit all tastes and plenty of dishes to discover. 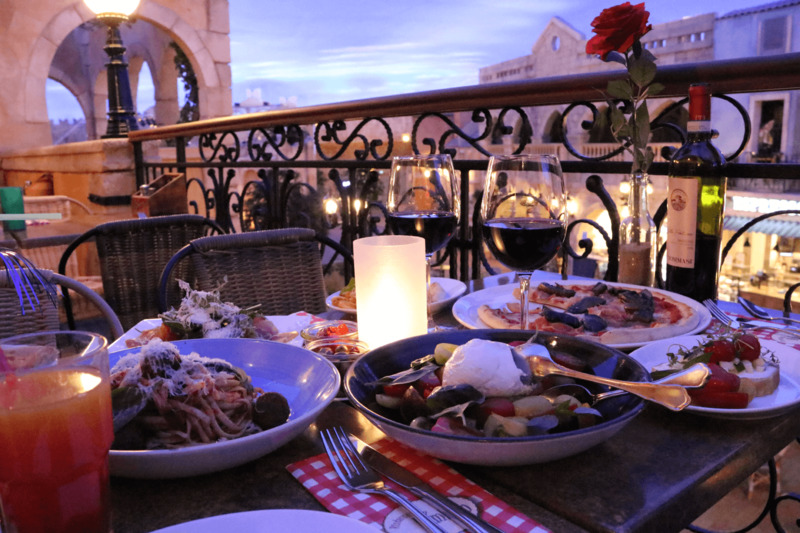 Enjoy, among other things, Italian specialties, Mexican dishes and American classics in stylish surroundings. At the Lalandia tropical holiday centre, all shops and restaurants have been awarded a happy smiley by the Danish Veterinary and Food Administration. Retailers who sell food and drinks to consumers are rewarded with an elite smiley when they have received at least four big smiling smileys in a row and have not had any complaints for the past 12 months. All shops and restaurants at Lalandia have been assigned a happy smiley by the Danish Veterinary and Food Administration. In addition, several of our restaurants have been awarded coveted elite smileys. We are proud of the results and are naturally working hard to maintain our position. The smiley scheme means, for our guests and employees, that we strictly follow the established rules and guidelines for food control in Denmark. At Lalandia, we are very aware of the special requirements and needs of our guests. Our restaurants and supermarket offer both vegetarian and organic products. Several of our restaurants have issued allergy guidance, so the chefs and serving staff can easily advise any guests with special requirements or allergies. Experience Pepe’s Cantina, our cosy Mexican family restaurant. Here we serve delicious genuine Mexican fajitas, consisting of warm tortillas with several types of spit-roasted meat, salad, dips and accompaniments so you can create your very own tortillas filled with family favourites. If there are more than 12 people in your group, you must order a group menu, with all adults ordering the same meal. Order at LB-event@lalandia.dk. Booking a table is quick and easy. If you are booking a table for a party of more than 12, please book at LB-event@lalandia.dk. Groups of more than 12 must order a group menu. Authentic Mexican fajitas, nachos, margaritas for children and adults, and much more. Light and dark chocolate fountain, pop cakes, fresh fruit and a great selection of ice cream. Ristorante il Bambino is a child-friendly buffet restaurant with a wonderful open kitchen with a focus on the ultimate family experience. Our chef is ready in the kitchen, preparing all the dishes as guests gradually help themselves, and children can put together just the meal they want. See the large selection of Italian-inspired specialties. Everything from soft drinks and beer to fine wines and our famous children’s drinks. Ristorante il Bambino is an Italian market kitchen where guests can come and go. Therefore, only groups of at least 12 people can book a table. You may have to wait before being shown to a table. Groups of more than 22 people must book a table and make a group reservation through our event department at LB-event@lalandia.dk. 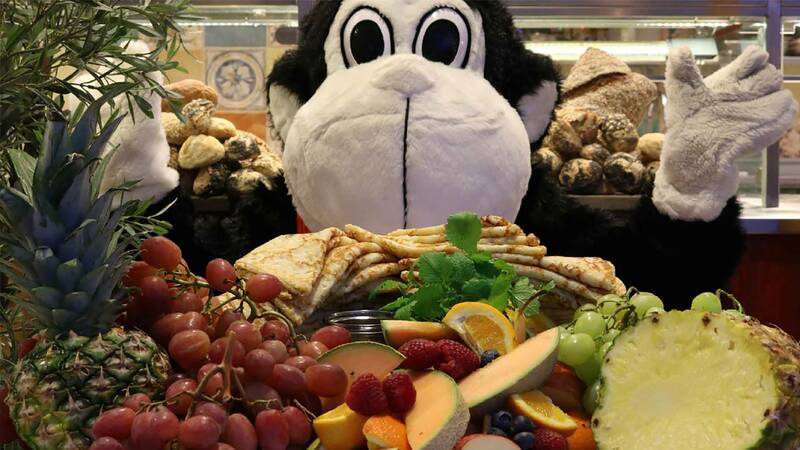 Meet Monky Tonky at Ristorante il Bambino and enjoy a delicious all-inclusive brunch with everything from eggs and bacon to pancakes, fresh fruit, juice, coffee and much more. Delicious food tastes even better in the company of Monky Tonky. You can book a table for brunch here. 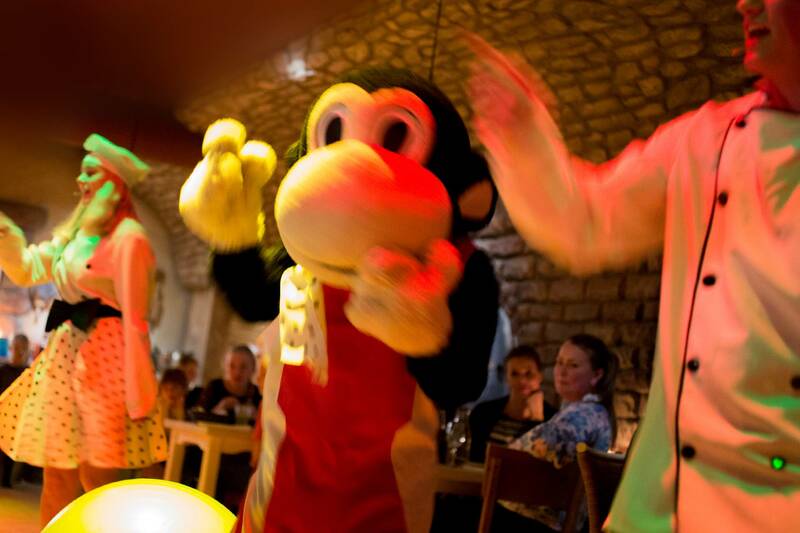 Monky Tonky and all his friends invite you to our super fun and entertaining Dinner Show, with delicious food and all-you-can-drink wine, beer and soft drinks, plus top entertainment for children and adults. Watch as the crazy waiters serve you and create fun and hijinks. As a guest, when you arrive our entertaining chefs and waiters will be on hand to receive you and get the fun started. During the evening, there will be lots of fun, songs and hijinks. Something to look forward to. 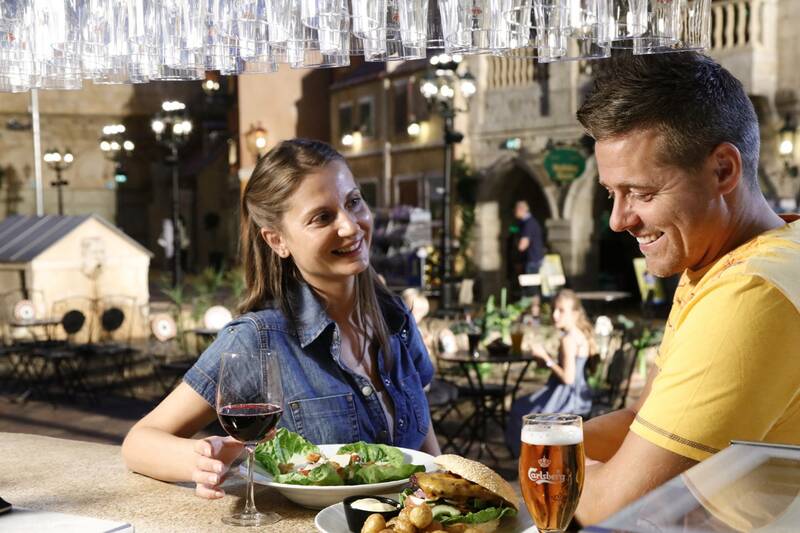 Included as part of the price for the show is a delicious 3-course meal, including all-you-can-drink wine, beer and soft drinks. There is both a children’s and an adult’s menu. During the evening, the children will be involved in the entertainment together with our fun chefs and waiters, while you adults can relax and enjoy your food. Finally, a delicious dessert will be served, with a small gift for the children and, who knows, perhaps a little surprise for the adults. The price for the whole event is: Adults DKK 395, children aged 12-17 DKK 215, children aged 3-11 DKK 185, children aged 0-2 free with a paying guest. Restaurant Bone’s in Billund specialises in authentic American cuisine, serving everything from succulent spare ribs to juicy steaks and burgers inspired by the original American recipes. Also enjoy the huge and famous salad bar at Bone’s. Bone’s menu is sure to make your mouth water if you’re a fan of steaks, burgers and spare ribs. Don’t worry, the famous Bone’s salad bar is, of course, also on the menu. The lunch menu is filled with all the famous specialties from Bone’s. At Bone’s, children have their very own menu with dishes specially adapted in size and flavour. Enjoy the delicious food from Bone´s in your holiday home, or take it as a picnic. Spoil the children with their favourite dishes while you enjoy a delicious pasta dish, a nice sandwich or a burger made from superb quality meat – or perhaps choose from all the great options on the menu. The menu is full of delicious meals for all the family, prepared from high-quality ingredients. Located next to the atrium and stage so you can experience the action up close, it is a good idea to reserve a table. There is a children’s menu and, for the very youngest, the restaurant features a play area. Espresso House has closed for the season. We will see you again in April 2019. 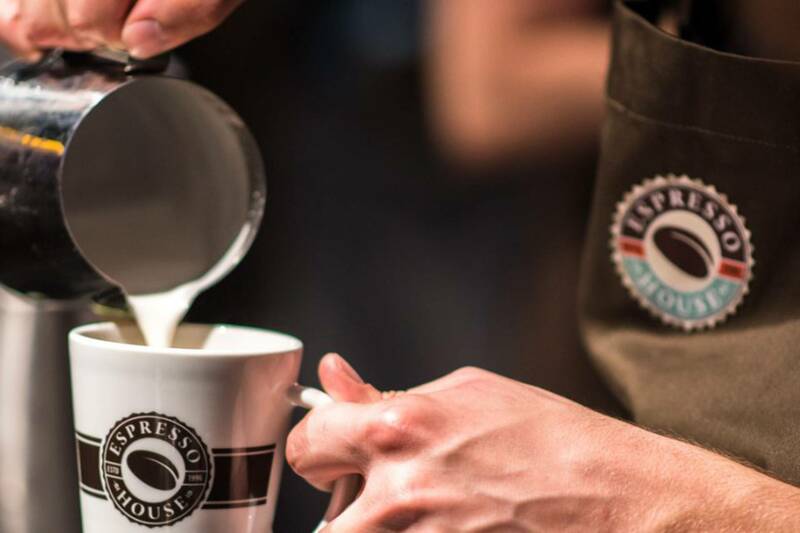 Quality coffee, delicious sandwiches, ice cream and cold drinks await in Espresso House. Pop in for freshly made sandwiches or expertly brewed coffee to enjoy on the cosy terrace or on your way home – Espresso House is located by the main entrance of Lalandia in Billund. The passion for flavour shines through, whether you choose the filter coffee of the day or another exciting variant of coffee, tea or chocolate. Our large selection of wonderful dishes will sate your hunger at breakfast, lunch and dinner. 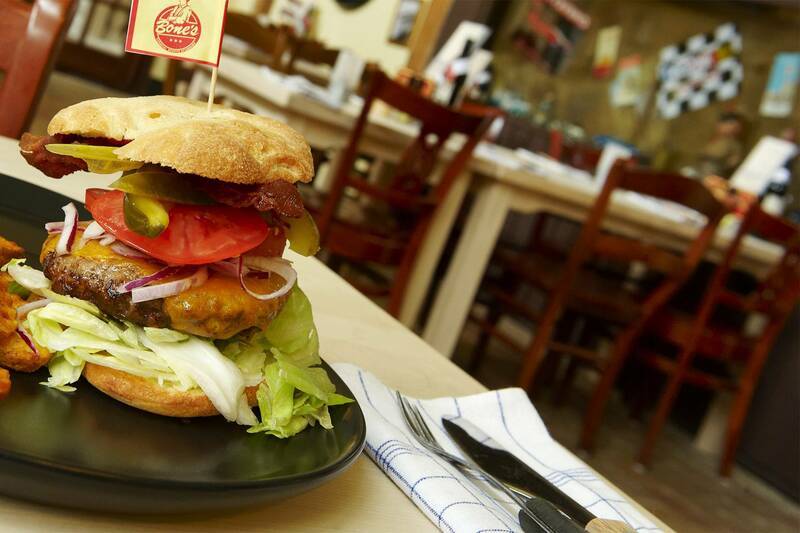 Spoil your taste buds with a great club sandwich, a delicious burger or something else! Mmm… Enjoy a delicious ice cream sundae, Ice Twister or our popular Ice Cream Burger. Our ice cream menu is pure heaven – even for the most demanding ice cream fans. Start the day with a great breakfast together with your family. Espresso House has delicious breakfast classics for young and old on its menu. 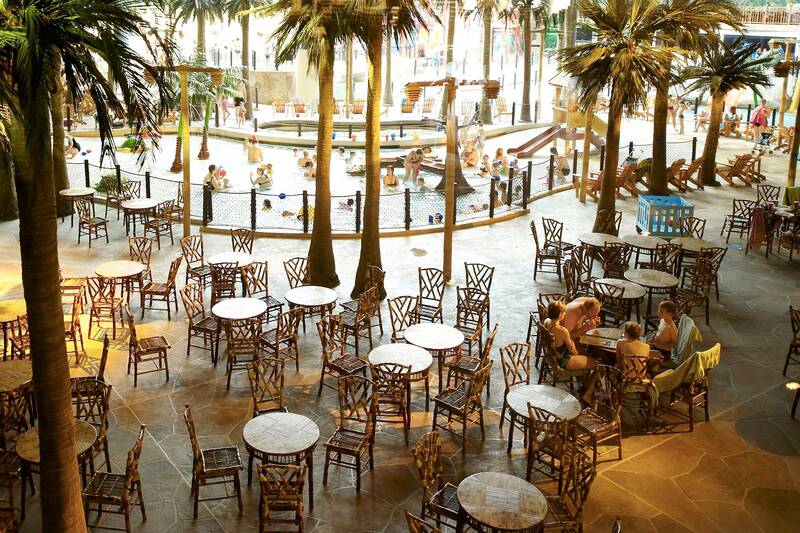 The Aquadome is where you’ll find the Food Court – choose between dishes from Asian, American and Italian cuisine. 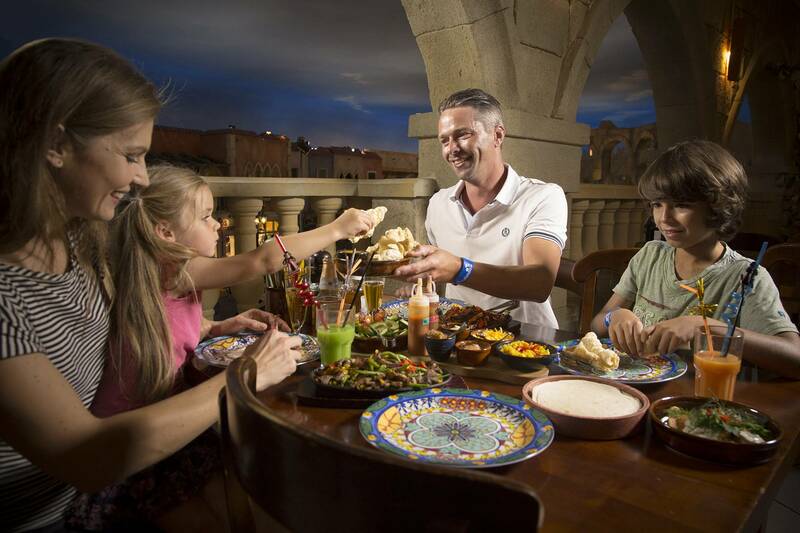 Everyone in the family can choose their favourite and enjoy their food together. The Food Court is inspired by the food hall concept, where food from many parts of the world is gathered together in one place. The key words are huge freedom of choice and great ingredients. Is it fiery-hot noodles with red curry sauce you’re after, or perhaps a crispy pizza? Whatever your choice, you can look forward to food packed with flavour. We are in the process of creating a large terrace at the Food Court, where you will be able to enjoy your food along with views across our large waterpark. Welcome to Deli Express, where you can enjoy delicious dishes from American and Italian cuisine – great flavours for all the family. All dishes on the menu are also available as take-away. We’ll pack your food for you so you can take it straight back to your holiday home. At Plaza Takeaway, we specialise in delicious takeaway that you can take on a day trip or enjoy in your holiday home. Enjoy a fresh pizza or order tapas, burgers, salads and much more. We have takeaway for all tastes and the whole family. 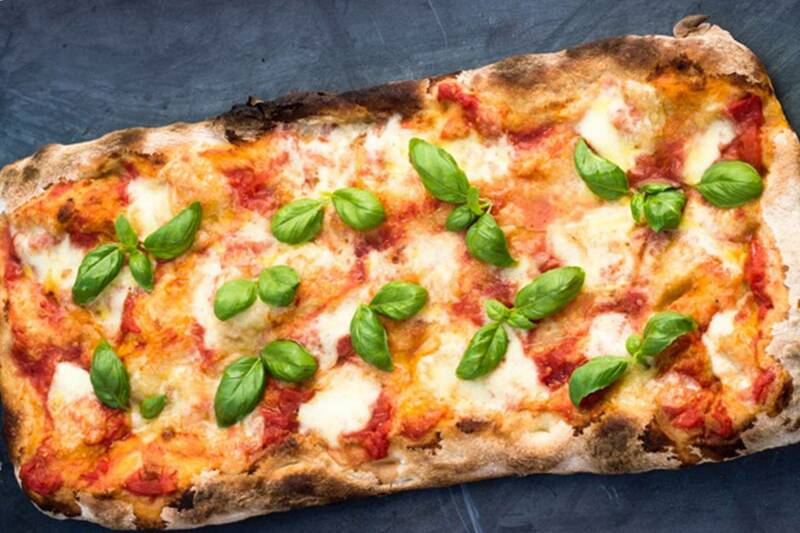 Delicious fresh pizza baked in our stone oven. Of course, we have all the classic varieties on the menu. Order your favourite pizza for the family. 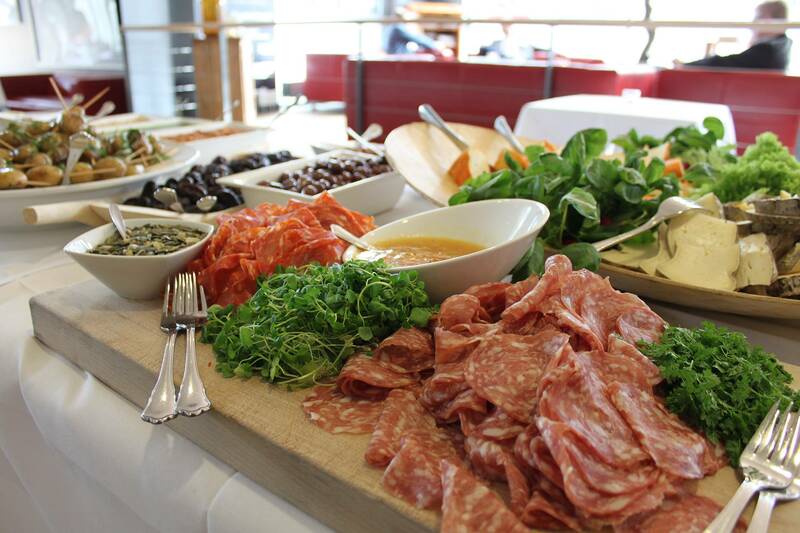 Order Italian specialities, such as our popular charcuterie and tapas plates or choose a brasserie dish for your tastes. Delicious fresh salad options or the classic burger or sandwich. Of course, you can also order takeaway from Bone’s, which should be collected from Restaurant Bone’s and not Plaza Takeaway. Order Plaza Takeaway online or contact us by calling +45 7614 9417 between 17.00 and 21.00. Order Bone’s Takeaway online or by calling +45 7614 9414 between 12.00 and 21.00. Baresso at Lalandia in Billund is all about passion for coffee. Come along and talk to one of our baristas and enjoy all the familiar coffee variants from Baresso. Naturally, we also serve the delicious Iceblends with vanilla, caramel or chocolate. Numerous delicious varieties of Caffé Latte, Espresso and Cappuccino await at Baresso. Find your favourite. Ice-cold coffee and various Iceblends with vanilla, caramel and chocolate, among others, mean the whole family can enjoy the coffee experience. Enjoy the fantastic muffins and cookies with your favourite coffee. Freshly-baked bread, scrambled eggs or pancakes? The menu is full of great morning classics for all ages. Spoil the members of your family who have a sweet tooth with tasty crepes – and top them off with delicious chocolate cream. Yum! Enjoy delicious frozen yogurt in many different flavours and with more than 20 toppings and sauces. Mix up your family favourites and give yourself a fantastic refreshing experience. The Pavilion in the Aquadome serves cold refreshments such as juice and water for the thirsty, while soft ice creams and ice cream are available if you want something more filling. No matter what you are celebrating, and how many in your group, Lalandia in Billund can provide the perfect setting for your next party. Let us make you an offer for your next function. Please be aware that during holiday periods special events are often held that may require registration. In addition, the opening hours of the restaurants may vary throughout the year.